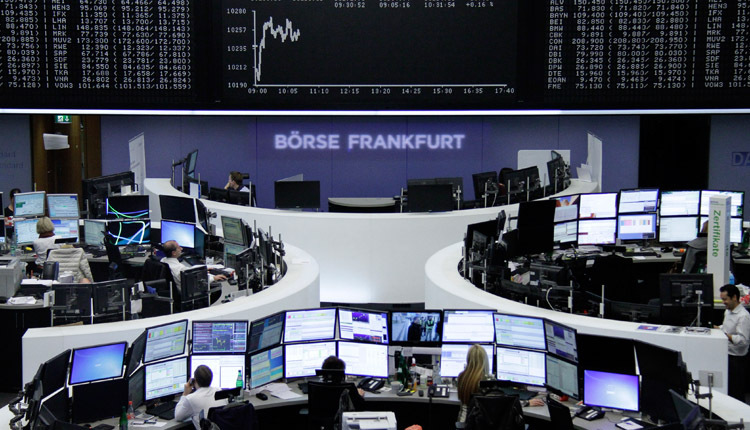 The pan-European Stoxx 600 closed provisionally off by 0.54 percent with most sectors and major bourses in the red. Autos were the worst-performing sector — down 2.19 percent — on growing fears that U.S.-Sino trade relations will deteriorate. President Donald Trump said Thursday that he would not meet with Chinese leader Xi Jinping before the self-imposed March 2 deadline to reach a Chinese-U.S. trade deal. Failing to reach a compromise by the March 2. deadline would mean additional tariffs on Chinese goods straight away. Furthermore, fresh reports on Friday indicated that Trump could sign an order next week banning Chinese telecommunication equipment from U.S. wireless networks. Fears around slowing global economic growth also impacted sentiment after both the European Commission and the Bank of England slashed growth forecasts on Thursday. The Commission said it now saw growth in the euro zone coming in at 1.3 percent in 2019, down from a previously forecast 1.9 percent. The BOE, meanwhile, said it saw its worst outlook for the U.K. economy this year since 2009. Looking at individual stocks, Wirecard slumped to the bottom of the Stoxx 600 after police in Singapore said they had raided the German payments firm’s premises in the city state. Wirecard has been dogged by developing reports of an accounting scandal at its Singapore office. Shares sank 12.31 percent. In other stock news, Ocado shares jumped nearly 4 percent, close to the top of the European benchmark after a devastating fire at its flagship packing and distribution complex was extinguished. The firm had said earlier this week that the blaze would hit sales growth. On Wall Street, stocks fell as traders also fretted over lingering U.S.-China trade fears and slowing global growth.